I like the fact that mobile phones have helped democratize the Internet. Anyone with a smart phone (which can be extremely inexpensive these days) can do practically all of the same things that can be done on a laptop with a few notable exceptions. It’s no longer only the realm of the elite to have email, or websites, or make their dreams come true, as long as the capital requirements are low enough. Pretty cool actually. Some companies require you to call in to do certain functions. For example if you want to increase the amount putting into your mortgage, your bank will force you to call in, despite the fact that this is an extremely easy change. They want to add the extra hurdle so people don’t do it as often – it cuts down on the interest they earn. So you don’t just need a smart phone, you also need a data plan or a landline somewhere. Thankfully banks have toll free numbers, but still. It shows that they intentionally treat online users differently than phone users. Many apps do not have the full features of the site. For instance, Shutterstock has a wonderful app that has no functionality at all to allow the user to sign up. This has got to be an oversight, or a roadmap item. Why would you make your users go through more hoops to give you money? Either way, you’re required to use their website. Often times the mobile website has incredibly limited functionality compared to a traditional browser. 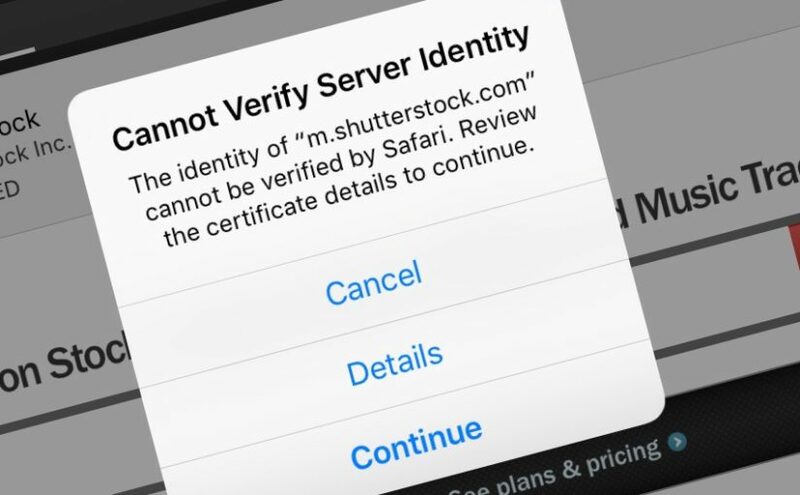 I even encountered a website today as a matter of fact (not to pick on them too much, but it’s a good example) where Shutterstock’s mobile interface has an out of date SSL/TLS certificate. There’s pretty much no chance this would have happened if it had been their main website – people would complain. So mobile users have little recourse. When mobile starts being treated as a first-class citizen, it will encourage people to consume more, and therefore it will increase revenue. There have been a number of apps where I would have happily given money if they had only had a functional purchasing flow in the application. This points to a bigger problem of democratization. All users should be treated with the same respect, and be given the same options, regardless of what tools they have. Though I think it’s a big enough investment and a small enough customer base, that most companies will take a long time to get there. The external pressure of annoyed customers who abandon, and companies like Google who penalize websites that aren’t mobile friendly, do give some hope. But other issues like a disparate ecosystem of phone sizes/shapes/functionality do a lot to undermine the app developer. But we might get there someday. I’m a big fan of democratization, because it puts everyone on equal footing, and gives them the tools they need to be successful with whatever setup they want to use, be it a massive desktop, a portable laptop or an ultraportable smartphone.